SEATTLE — While the United States often sits atop the FIFA World Rankings, American club teams often do not enter into the conversation of the world’s best. Seattle Reign FC, a first-year NWSL club, wants to change that, beginning with a trip to Okinawa, Fukuoka and Tokyo, Japan, next month. “We’re definitely excited. It’s a really good opportunity for our team to play against one of the world’s best club teams,” general manager Amy Carnell said in a phone interview Wednesday. 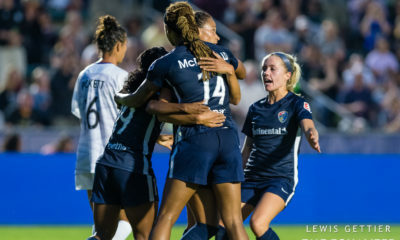 Reign FC leaves Seattle on March 12 and returns nearly two weeks later, on March 25, playing matches against defending L. League champion INAC Kobe Leonessa, Fukuoka J. Anclas and a third opponent to be determined. The trip is part of Seattle’s drive to be considered the world’s best club, a platform officials are not shy about endorsing. It could also serve as a launching point for a partnership between Reign FC and Japanese powerhouse INAC Kobe Leonessa. INAC boasts 2011 FIFA Women’s Player of the Year Homare Sawa on its roster, as well as six other Japanese players who were on the nation’s 2012 Olympic team. 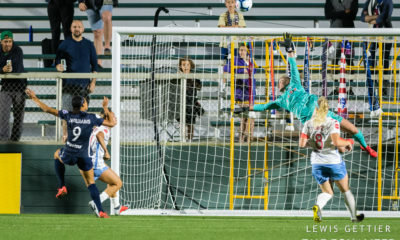 American midfielders Rebecca Moros and Beverly Goebel-Yanez also play for the club, which finished the 2012 season with 17 wins, zero losses, one tie and a plus-57 goal difference. Founded in 2001, INAC won the last two Nadeshiko League Division 1 championships. Both clubs will hope their national team players return from the Algarve Cup able to participate. That tournament runs from March 6 to 13 in Portugal, with all teams guaranteed to play on the final day. Besides INAC’s Japanese contingent, Reign FC has Hope Solo on the American squad and Welsh captain Jess Fishlock in Portugal. Canadians Kaylyn Kyle and Emily Zurrer will be at the Cyprus Cup, which ends a day later, and all teams are guaranteed to play that day as well. Currently, no NWSL team has a working partnership with a club abroad, but another club in the league does have a history of foreign partnerships and success spreading its brand overseas. Sky Blue FC paired with Swedish Damallsvenskan team LdB FC Malmö in 2011, resulting in one player loan, but WPS folded before the partnership could really take off. The New Jersey club went on a preseason trip to Turkey in 2011, losing 1-0 to Malmö in the final of the Alanya International Women’s Tournament of Champions. A year later, Sky Blue went on a trip to Japan similar to Reign FC’s, which was supposed to be another preseason trip but changed slightly after WPS canceled its 2012 season. Sky Blue’s travel roster combined would-be Sky Blue and Western New York Flash players. The makeshift squad lost two games against INAC, 2-1 and 3-0. Those two players, Moros and Goebel-Yanez, are entering the second year of their respective deals. Like Sky Blue, Seattle sees more than just good competition and team building in its trip to Japan. “We are an ambitious club, and I want us to at least look at doing things that, for whatever reason, may have not been done before,” Reign FC owner Bill Predmore said. That includes preseason tours, the likes of which are common among professional men’s teams but would cripple most women’s teams’ considerably smaller budgets. Neither Predmore nor Carnell gave exact cost figures, but they saw it as the least important aspect of the trip. If that sounds like something a Los Angeles Galaxy investor might say, Predmore was quick to assuage any notion that he plans to buy the inaugural NWSL championship. “I don’t think that we’re going to be able to buy success, and that is not our strategy — it’s not to outspend the other clubs to try and become successful,” he said. “I think we’re trying to be smart around where we spend money and make investments where we think it’s going to make the team a more competitive club. However, sending the team on such a trip — 13 days long, in a country nearly 5,000 miles away from home and 17 hours ahead of the Pacific time zone — is still an expensive endeavor, regardless of how much the tour organizers help. Price tag notwithstanding, Predmore expected the trip would not have any effect on in-season logistics. The club is clearly well funded, and the atmosphere surrounding it would appear to confirm that, from hiring head coach Laura Harvey away from one of the world’s top teams in Arsenal Ladies to Reign FC’s swanky downtown Seattle digs, housed in Predmore’s offices for his POP digital agency. Having a deep wallet will help Reign FC’s ambition to compete with the world’s top clubs such as INAC, Arsenal and Lyon. Conversations with everybody in the club make that goal readily apparent. 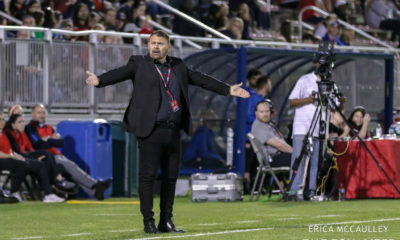 “Ultimately, what I would like (is) I want the club to be recognized as one of the best in the world, understanding that that is a very long road to get there,” Predmore said. “It’s not going to happen next year; it probably won’t happen the year after that. But that’s the path that we’re on, and I think to get there, we’re going to have to start playing the clubs that are right now recognized as the best in the world. Reign FC Japan tour match schedule: March 16, 7:30 p.m. PT, in Okinawa vs. INAC Kobe Leonessa; March 19 PT, in Fukuoka vs. Fukuoka J. Anclas; March 23 PT, in Tokyo vs. opponent TBD. Carnell said Reign FC’s third match in Japan will be open to the media but closed to the public. A total of 24 players will make the trip. They will be drawn both from Seattle’s current roster and from a group of invitees, including several possible Discovery Player signings. 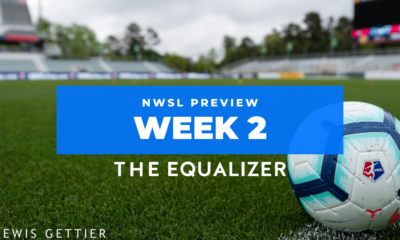 NWSL clubs may claim up to four Discovery Players each, and the club that submits player’s name first has the first option of signing her. Carnell said Reign FC’s open tryouts would be held before the trip to Japan. She expected the club to make an announcement this week. Participants will not be eligible for the tour because of visa deadlines, “but it doesn’t mean that they can’t still make the team,” she said.